Calder is best known for perfectly balanced mobiles (a term coined by Marcel Duchamp), but his monumental stabiles are equally impressive. 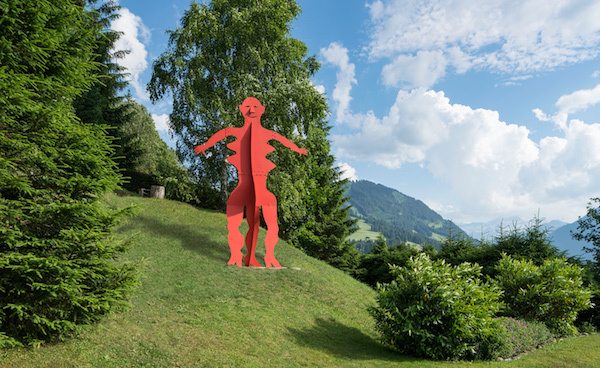 Works from the later part of his career became increasingly large and were typically installed in public spaces. La Grande Vitesse (1969) in Cedar Rapids, MI was the first civic sculpture to receive funding from the NEA. Mountains and Clouds (1986) weighs 35 tons and fills the atrium of a Senate office building in Washington, DC. Poisson Volant (1957) set an artist auction record in 2014 for $25.9 million. For Calder’s sculptures, superlatives apply. 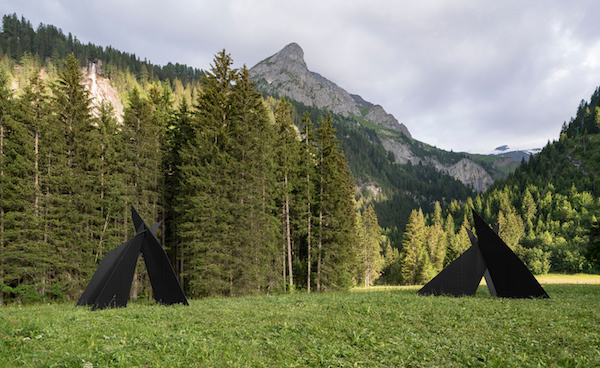 Calder in the Alps places monumental works in a natural environment rather than an urban one, for an effect like the waterside installations at the Louisiana Museum of Modern Art in Denmark. 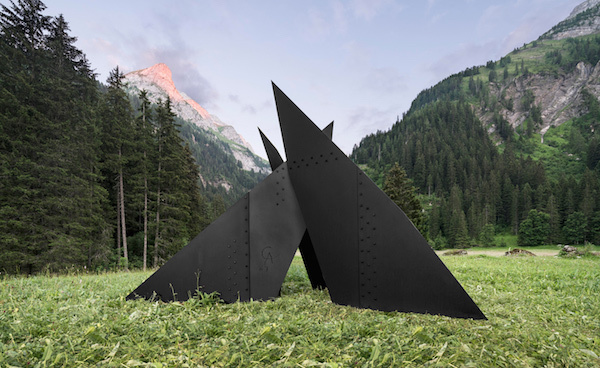 In Gstaad, the abstracted shapes of five stabiles and the kinetic balance of a standing mobile contrast with the alpine landscape to become even more dynamic. 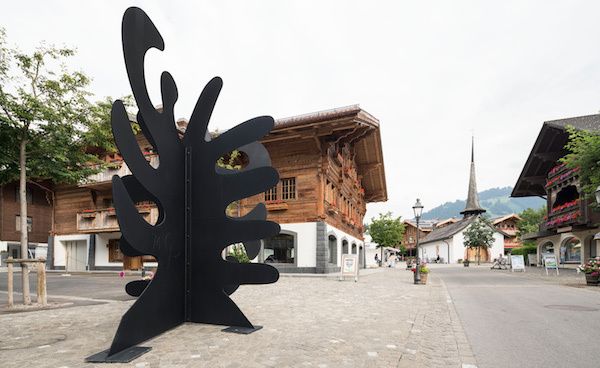 Calder in the Alps opened on July 14 and continues through September 30, 2016. 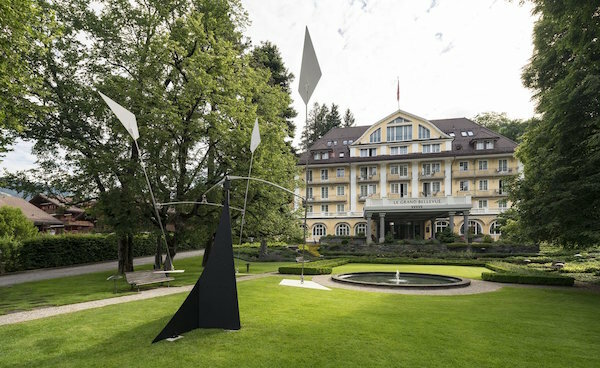 A concurrent exhibition, Calder & Fischli/Weiss, continues through September 4 at the Fondation Beyeler in Basel.